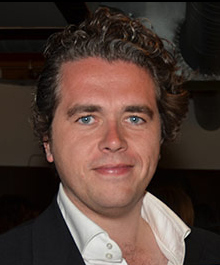 Lorne Balfe is a Grammy Award Winning, Emmy and BAFTA nominated film composer who is known for composing the scores to DreamWorks Animations Megamind and produced the score for Christopher Nolan’s Inception. Lorne began his career in Hollywood providing additional music on several major motion pictures including the second and third installments of The Pirates of the Caribbean, The Simpson’s Movie, Iron Man and Tranformers: Revenge of the Fallen. Lorne earned a Grammy for Best Score Soundtrack Album as score producer 2008’s The Dark Knight. In more recent years, Balfe composed additional music for Rango, Kung Fu Panda 2, Madagascar 3 and the Dark Knight Rises. Lorne composed the scores for DreamWorks Animation’s The Penguins of Madagascar and Home.